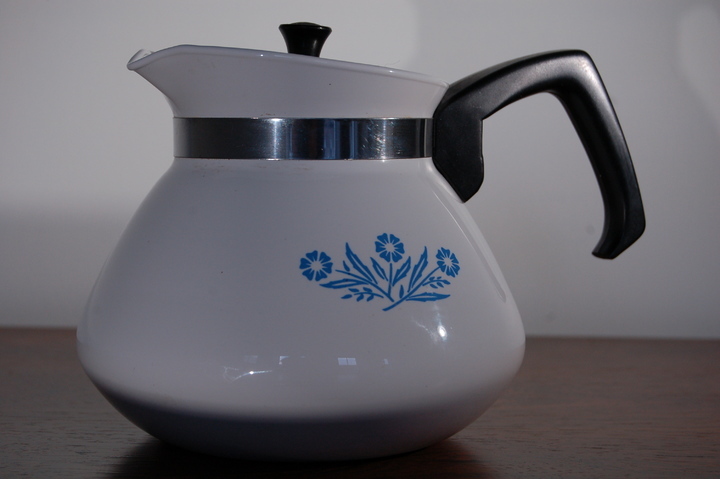 'Pyrosil Ware' drip coffee pot, possibly Model P114, crisp white with cornflower blue decorative motif. 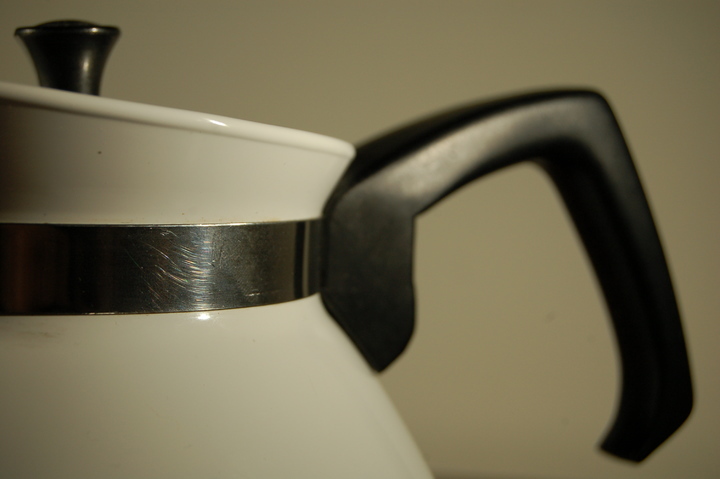 Tight spring-fitting, stainless steel lid with black knob and black moulded plastic handle. 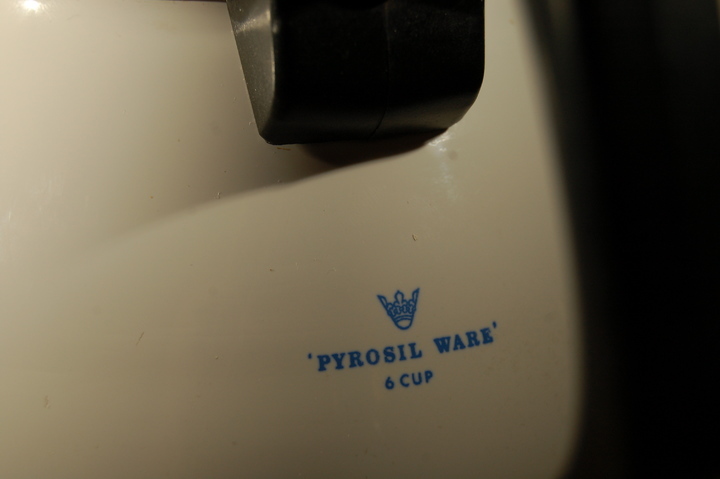 Marked 'Pyrosil Ware' 6 cup. 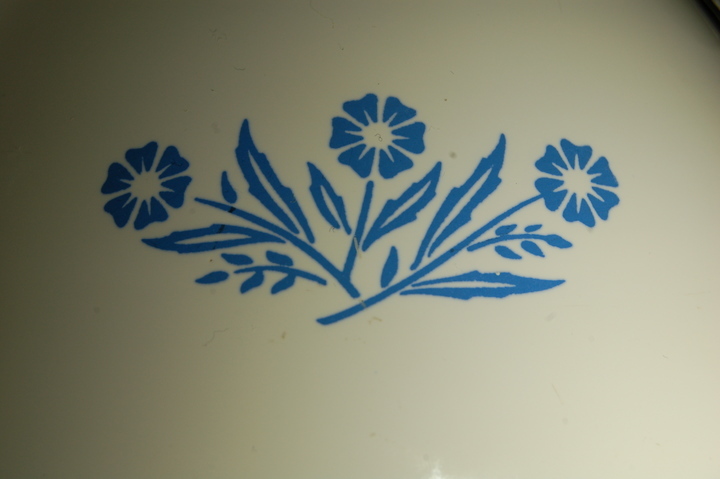 A good looking mid-century item in excellent condition.